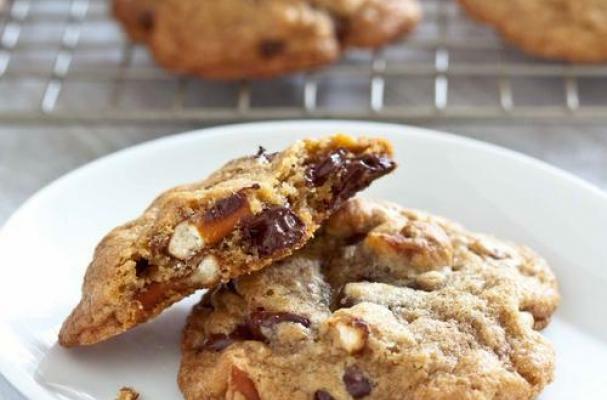 Sweet and salty, these chewy chocolate chip pretzel cookies from Pixelated Crumb are the perfect crave-worthy treat. The recipe combines bittersweet chocolate chips and hard pretzel pieces in a classic cookie dough. The author recommends sprinkling sea salt over the cookies before baking to boost the contrasting flavors. Check out the chewy chocolate chip pretzel cookies recipe, and if you love cookies and milk, try your hand at this white chocolate raspberry milkshake.